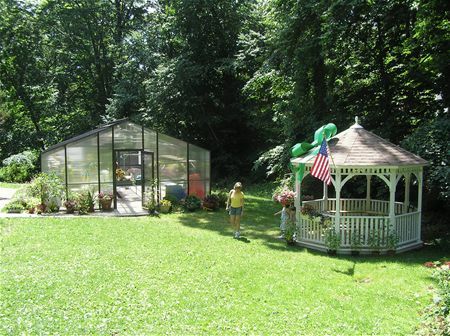 Amy’s Greenhouse is a spacious, modern 20’ x 40’ corrugated glass metal greenhouse. It was installed in the summer of 2005. It has a cement foundation, electricity and heating. There is an automatic heating and ventilation system so that when it reaches a certain temperature inside, windows on the roof open or close. There is additional heating for extra cold days, too. The interior shelving units and plant hanging system were donated and installed by Unitron Corporation of the Bronx. 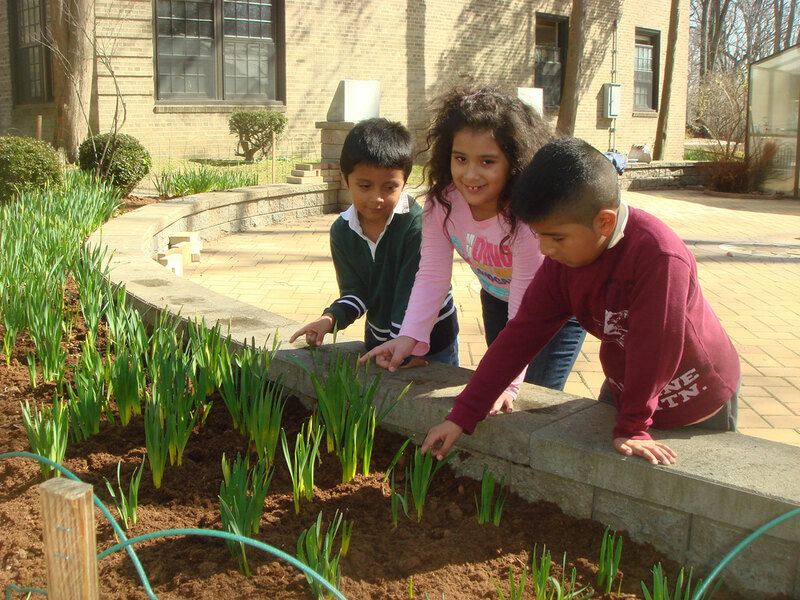 A much needed sink was kindly donated and generously installed by Total Energy Services of New Rochelle during the 2006 school year. 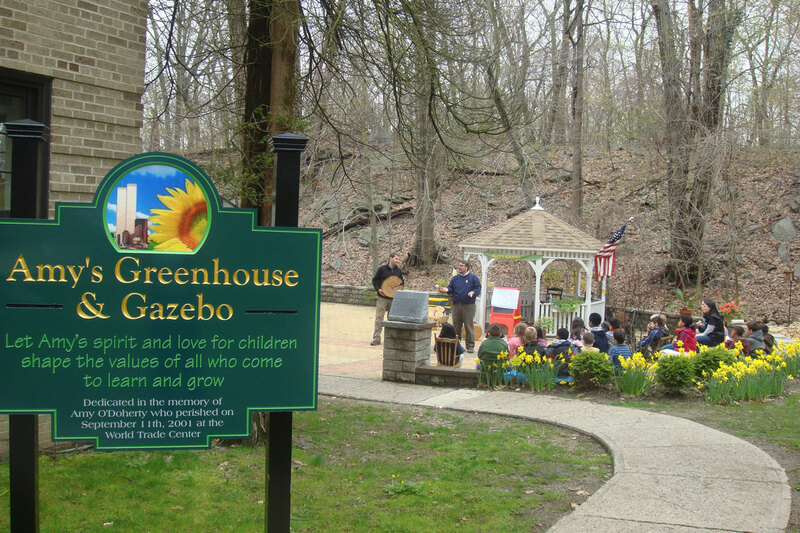 The Gazebo is a 12’ octagonal wooden structure installed in June 2007. 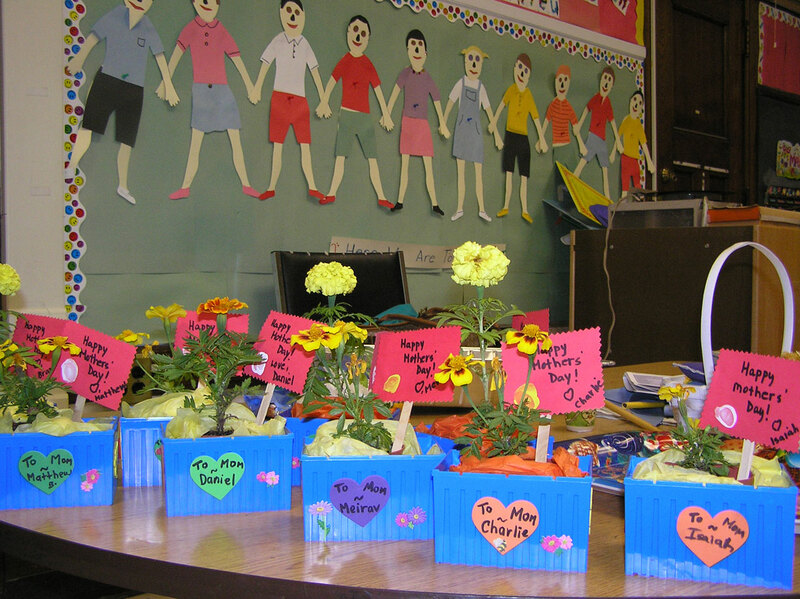 It features a shingled roof, wooden floor, benches and flower boxes. 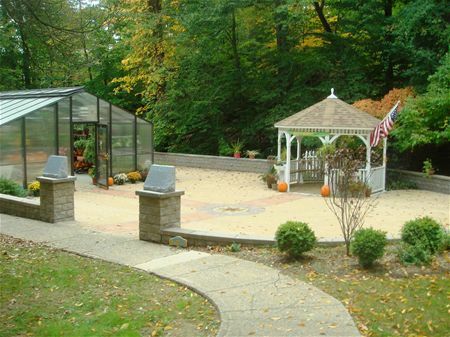 Amy's mother specifically requested the gazebo and donated half of the monies to purchase it. 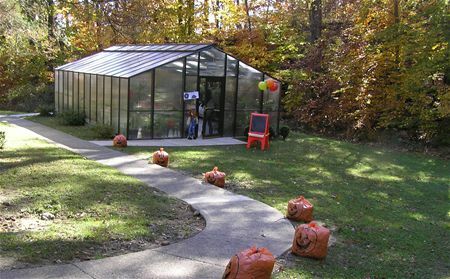 It serves as a wonderful extension for the greenhouse and is used for story telling. 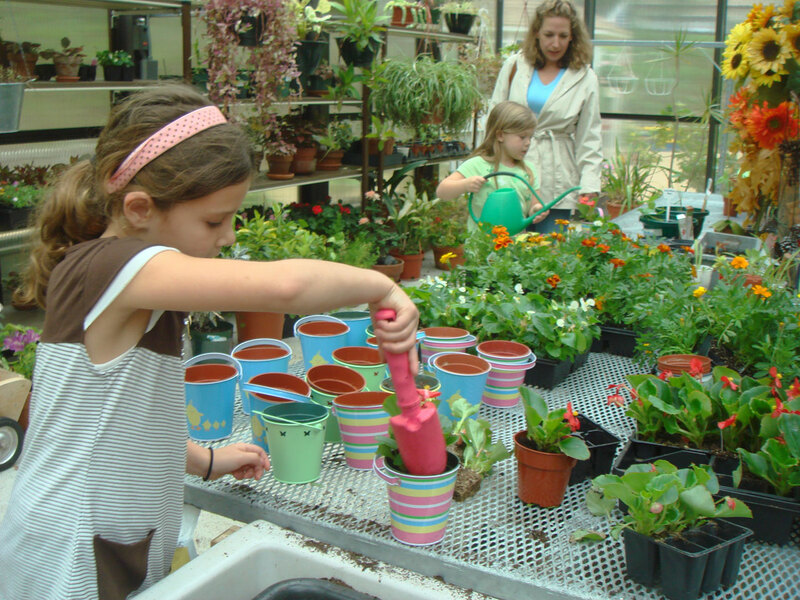 Children also wait in the gazebo after completing their projects in the greenhouse. It is a cheerful, pleasant and pretty structure that draws visitors to the area. 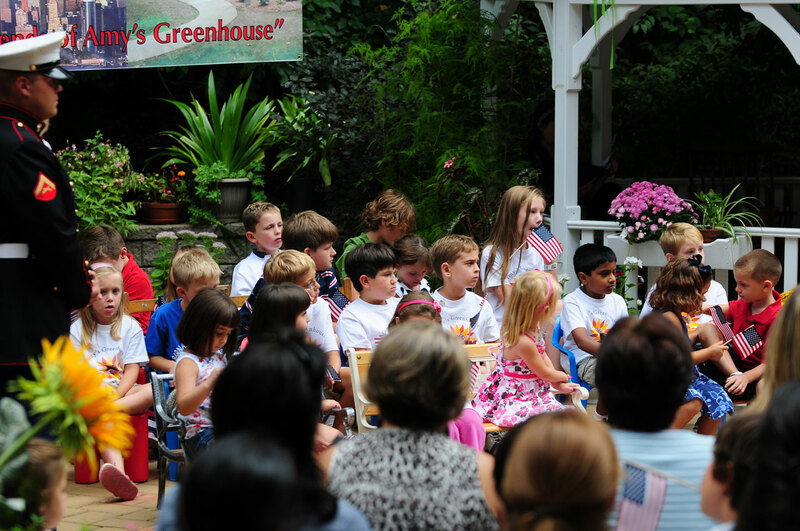 This wonderful and spacious brick patio was dedicated on Friday, May 9th, 2008. The patio of tan rectangular paving stones in a herringbone pattern was generously donated by Sammarco, Stone & Supply and Frank Miceli. Sammarco, Stone & Supply also funded the installation of the pavers. 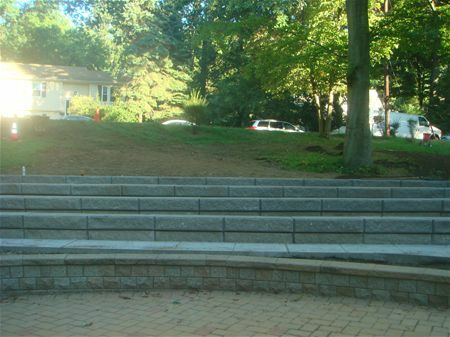 The patio was installed by Ray Batista and his crew from Cardinalli Paving, Inc. It is large enough for events and activities. It is surrounded by a low wall, perfect for children to sit on. 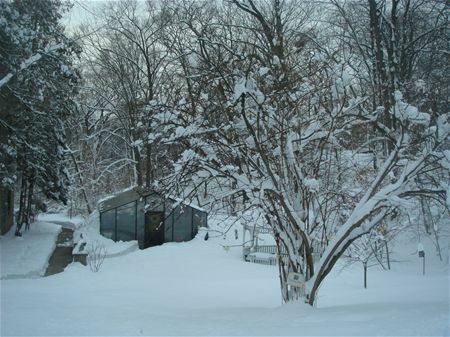 Two columns mark the entrance to the patio and greenhouse area. 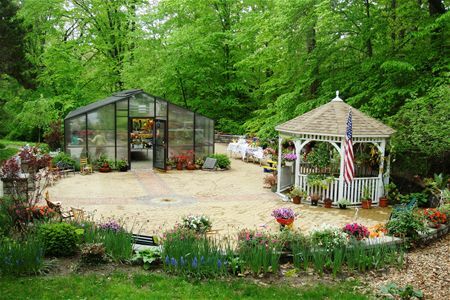 The patio grounds the greenhouse in its environment and nicely connects it to the gazebo. The walls keep children within an area and the floors keeps their feet neat. 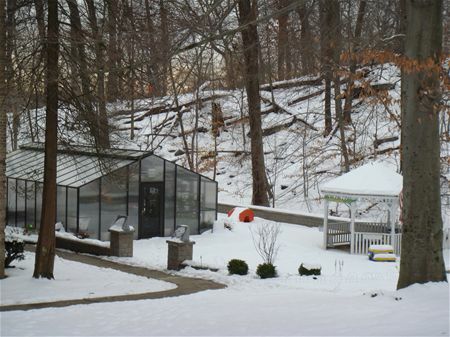 The design of the patio was originally drawn gratis by Gustavo Capparelli from F. Capparelli Landscape Design. 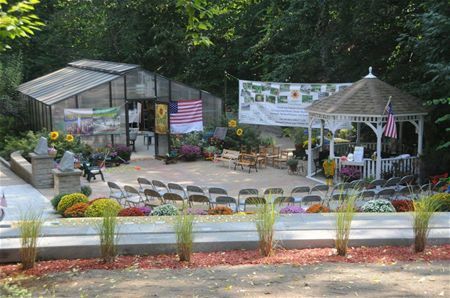 Customized engraved bricks created by A&B Family Memorials, Inc. are installed in paths that lead from the entrance of the patio to a sunflower center stone and to the gazebo and greenhouse. The red, customized, engraved bricks are funded from the "Buy A Brick" campaign whereby people purchase bricks for $100 as a donation to Amy's Greenhouse. The “Buy A Brick” program is now a permanent fundraising mechanism to pay for future greenhouse projects. People can still purchase bricks that will be installed on 9-11 annually. A custom made sunflower medallion marks the center of the patio area. 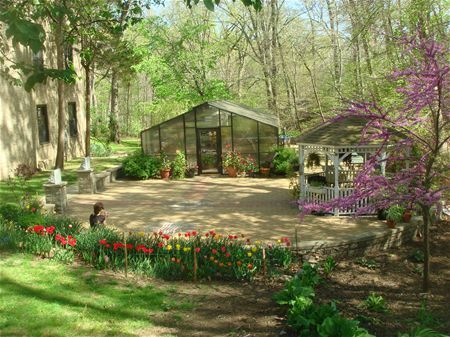 Sunflowers were the favorite flower of Amy O'Doherty, for whom the greenhouse is named. The sunflower in the medallion matches the logo of the project, as well. The colors were custom blended. Funds from the "Buy A Brick" campaign paid for the stone. 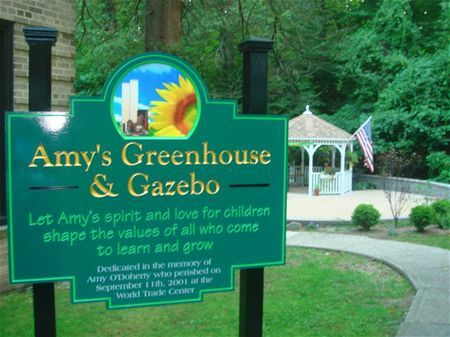 The complex features several stone markers that contain Amy's Greenhouse Mission statement and heartfelt thank yous to Frank Miceli and Millie Radonjic. After the patio was complete Frank Miceli and Sammarco, Stone & Supply generously funded the installation of the landscaping material and installation of landscaping around the patio. The planting was done by Mr. Joseph Arcidiacono from JMA Inc. This wooden sign is 3' x 4' and was installed in September 2008. It was custom built by New Rochelle resident Mr. Joe Lanza, who has a business called "Sign Design & JC Awning" located in Portchester, NY. It is a beautiful sign that tells visitors what the greenhouse is called and also refers to the Twin Tower legacy. installed Labor Day weekend 2013 by Peduto Construction, who generously donated their time, talents and material. The benches are made up of three 400 pound blocks of cement each. There are four rows of 8-10 benches each row. The bench material was donated by the Parkchester Kiwanis Organization. Peduto Construction donated cement, gravel, heavy equipment, 12 workers for four days. Peduto Construction president, Nick Peduto, is the father of this year's PTA president Michelle Peduto-Pappas. Michelle Peduto-Pappas is married to Greg Pappas, who works for Peduto Construction, too. 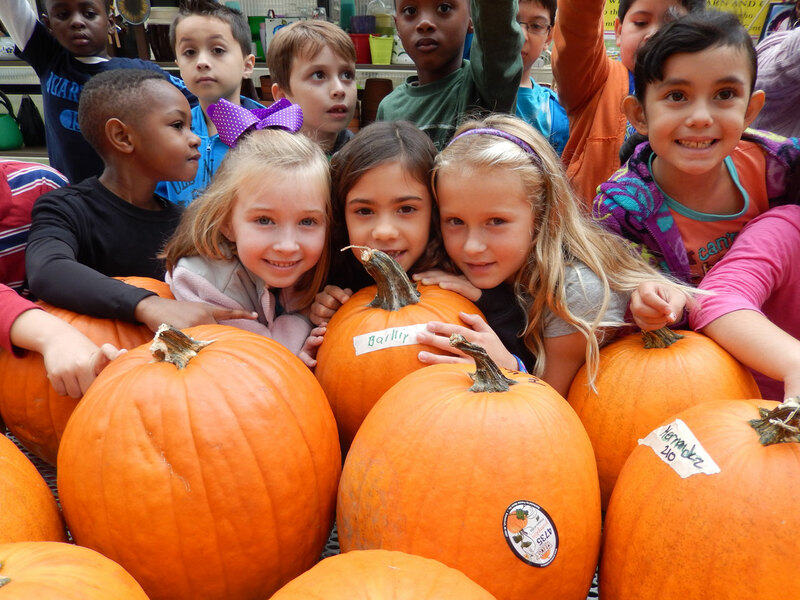 It was a family affair with PTA president, PTA president's husband, PTA president's father and a crew of 11 men, several of whom have Barnard students or alumni.